Luxury motor yacht ZAMBEZI is currently offering a 10% discount on any summer bookings if confirmed by 6th June. 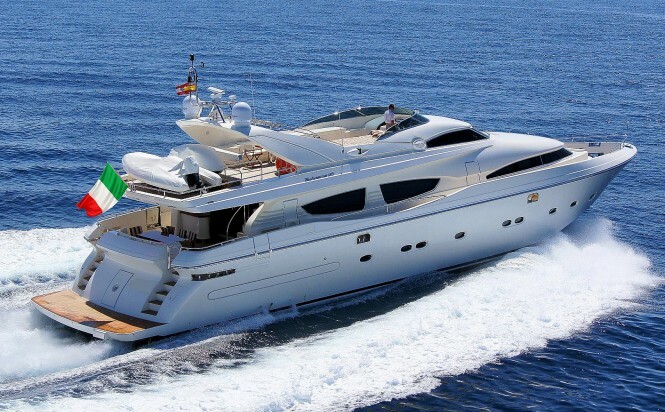 She is currently based on the island of Ischia, Italy and available for Western Mediterranean vacations including Naples, Amalfi Coasts, Sicily, Sardinia or French Riviera, and Corsica. Her discounted rate is EUR€40,500 to EUR€49,500 per week plus expenses. ZAMBEZI is under a major refit at the moment and once completed, she will offer four beautifully appointed double cabins (two doubles and two convertible) with overnight accommodation for up to ten charter guests. 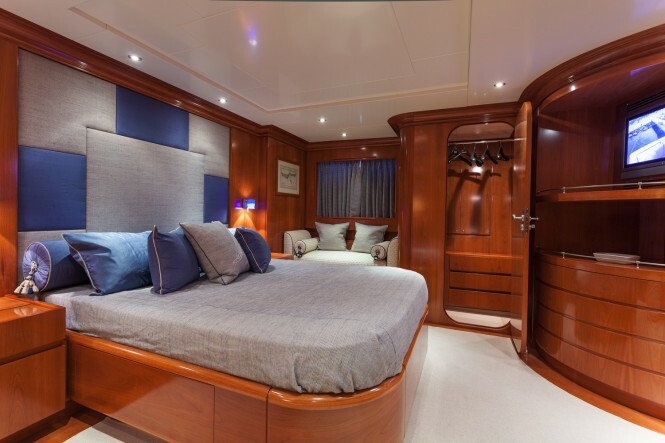 Her current refit also includes new upholstery, new carpeting and new art in the saloon. In addition, guests will have the possibility to try out her new water toys such as the Jet Skin and the new Tender. Interior socialising area includes the large saloon located on the main deck, that has been fitted with chairs and comfortable sofas. There is also a galley and a separate crew dining area, as well as a more formal dining area for guests forward. 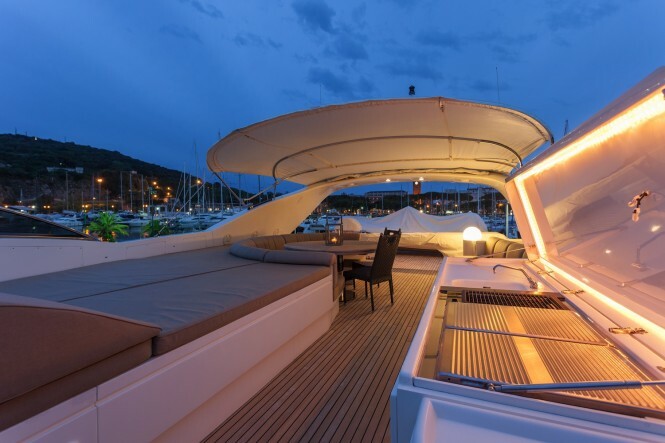 A fabulous place for sunbathing is the flybridge boasting wide seats, sun pads and a Bimini to offer shade when needed. The professional and friendly crew includes the Captain, deckhand, chef and a hostess. You Italian charter experience will be enhanced by their immaculate service, manse-to-measure and delicious meals as well as assistance in discovering all that Italy and Southern France have on offer. 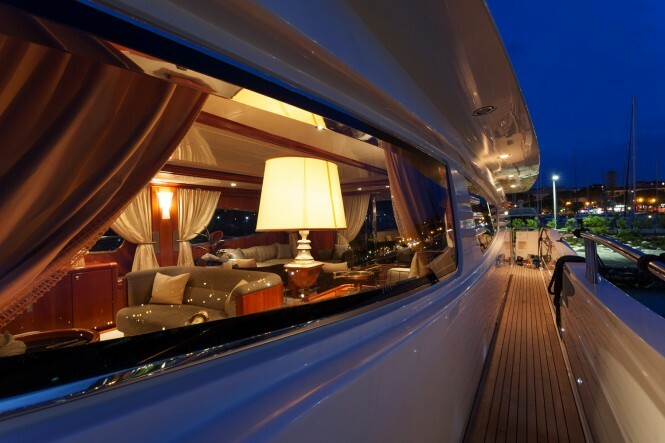 For more information get in touch with our charter brokers. 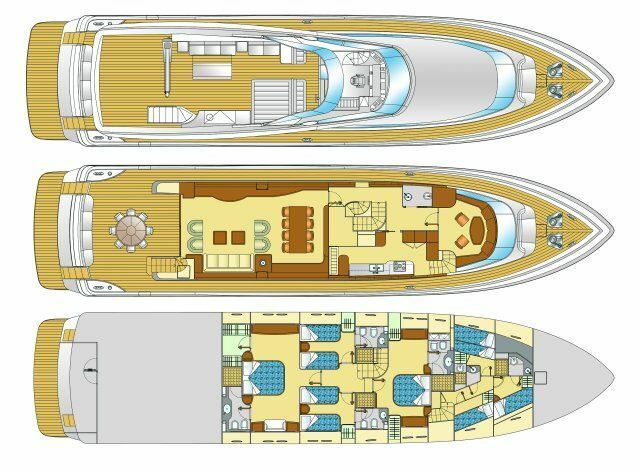 Please contact CharterWorld - the luxury yacht charter specialist - for more on superyacht news item "30m ZAMBEZI Charter Yacht Offers 10% Discount in Italy".